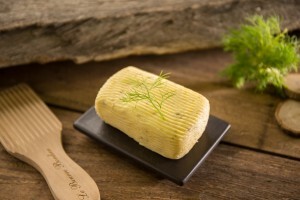 Home > Return of Seasonal Fennel Butter! Return of Seasonal Fennel Butter! Once again Jean-Yves Bordier extends his invitation to voyage to the heart of Brittany with the return of his seasonal Fennel Butter. On braised endives, sautéed vegetables (zucchini, carrots, green beans), savory cocktail shortbreads, poultry, or fish baked in foil. We extend our invitation to try it once again! Available from June 4 to September 30, 2018.